Week after week, Ekta Kapoor's reboot show Kasautii Zindagii Kay 2 is giving us wow moments that either has us crying with joy or crying just because. With every new episode, some new drama unfolds. This week has been all about Prerna's wedding to Naveen (and not Anurag Basu because, well, they are 'friends!'). But for us, it is her bridal lehenga that has caught our attention more than the twisted plot. 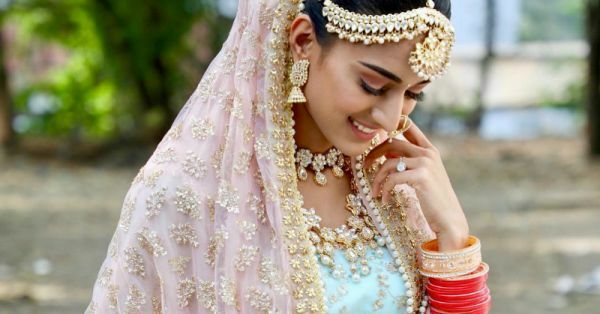 Erica Fernandez took to Instagram and posted a picture of herself as a bride saying, "Prerna Sharma ban gaye dulhan", and our eyes quickly went to her lehenga which, to our surprise, wasn't red or pink. Prerna wore a sky blue lehenga choli teamed with a pastel pink dupatta and we are in awe of her choice. Now, brides don't usually, at least in real life, go for a blue lehenga for their wedding. Red, pinks, oranges and, lately, whites dominate the bridal-wear industry in India. 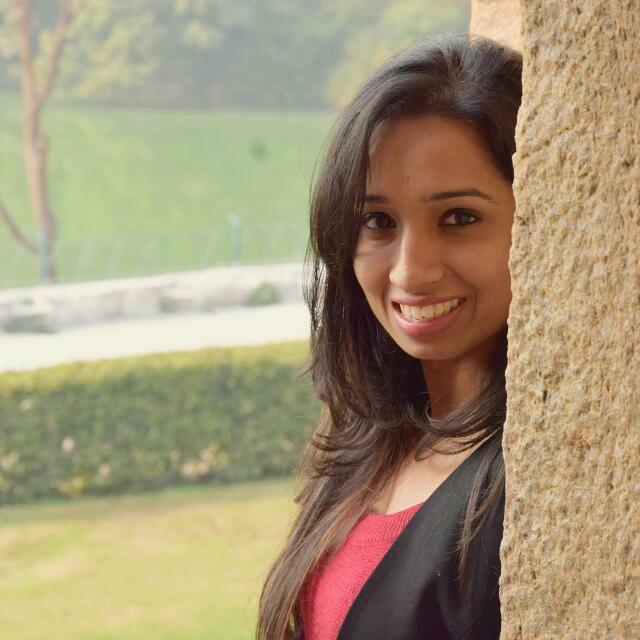 But Prerna took the road less travelled. She went for a clean-swept bun and her jewellery was gold-toned with kundan and pearl detailing on it. A mathapatti, a pair of jhumkas, a layered nath, two necklaces, and that giant engagement ring are all she needed to deck up for the Big Day. Of course, she wore chooda because that is an essential accessory for all kinds of brides, at least in TV weddings. Going into the details of her lehenga, her blouse had gold embroidery all-over with a thick border while the lehenga-skirt has a chevron pattern on it. The pastel dupatta is heavily embroidered in gold and has white pearl-like embellishments sewn across the lengths of the border. I never thought I would say this but blue does make for a pretty option for a day wedding or a beach wedding. It will instantly brighten up your look even minus the heavy makeup. If you are planning such a wedding for yourself, take cues from Prerna's bridal lehenga and make it your 'Something blue'.